”UN mediator Kofi Annan’s plan for Syria was ”on track,” though progress in implementing the ceasefire is slow, his spokesperson said Friday. ”The Annan plan is on track and a crisis that has been going on for over a year is not going to be resolved in a day or a week,” Ahmad Fawzi, the UN and Arab League envoy’s spokesperson, told journalists in Geneva. ”There are signs on the ground of movement, albeit slow and small,” he added. Overall, Fawzi said, the plan and the UN observers who are on the ground overseeing its implementation—a team he reported had grown to about 50 by Friday—have had an impact. But he decried continuing violence between President Bashar al-Assad’s regime and opposition forces in a conflict that has killed more than 11,000 people since flaring in March 2011. ”This is a difficult and complex mediation effort. There are days when things are progressing in a satisfactory manner and there are days where we feel that it’s a rough ride,” he said. So let’s see if I get this right: UN is horrified by the extent of the violence even on “good” days but STILL the Annan plan IS ON TRACK! That in a nutshell is UN/Kofi Annan “ceasefire” and peace plan and logic for you. International diplomacy at it’s best. “VERY GRAPHIC LEAKED VIDEO – ASSAD’S FORCES FILM THEIR LATEST MASSACRE AND CONGRATULATE THEMSELVES. The cameraman says at one point (about the dead men) “hahaha, they were making coffee!, they even drink coffee” … Assad’s forces say this because it helps them de-humanize their victims .. using words such as “them” and exclaiming such facts as “they even drink coffee (like us)”. ”LEAKED VIDEO – THIS IS HOW ASSAD’S FORCES ENTER A NEIGHBORHOOD – THE GUNFIRE IS DEAFENING AND THEIR CHANTS ARE DISGUSTING. Damascus (Eastern Ghouta): They chant “Shabeeha (Thugs) Forever, For Your Eye’s Oh Assad!” which is a variation of the Pro – Revolution chant “Freedom Forever Despite You Oh Assad” (both slogans rhyme in Arabic. Syrian state TV in action – a case of literally shotgun journalism. And the protest go on. Here a whole village is out demonstrating. 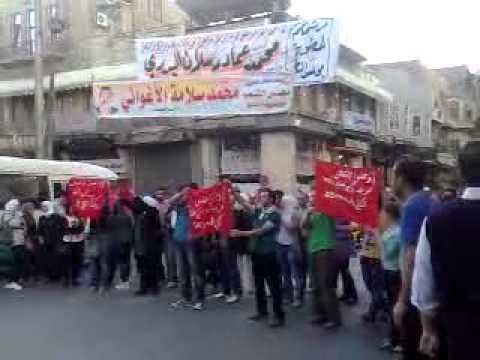 “DAMASCUS // The protest came out of nowhere, a holiday afternoon in central Damascus busy with shoppers interrupted by lofted banners demanding freedom and democracy. With surprising calmness given the risk of dire consequences if they were caught by security forces, a dozen or so activists emerged from the crowd outside the historic Hamediyeh market. Most were young, some teenagers. A majority were women, evidently secular, dressed casually in jeans and T-shirts. There were no chants or songs, no words, just the banners, most in Arabic, one in English, calling for freedom, calling for an end to regime killings, reminding the hundreds of onlookers that in Syria doctors can pay with their lives for helping wounded civilians. The audience at first seemed to have little idea of what was happening: Damascus is full of banners and posters for candidates in forthcoming parliamentary elections. But when reality began to sink in, they stood mute, eyes wide, watching. A delivery boy on an old-fashioned bicycle stopped and stared, mouth agape. Drivers leaned out of their car windows or ducked their heads for a better view through the windscreen. In a country that for decades has brooked no public dissent, scenes like this are hard to comprehend and, even after 13 months of an uprising that has thrown entire cities into an anti-regime revolt, somehow unimaginable and shocking. A midweek May Day protest seen by hundreds of ordinary people is a different matter, however. It is much harder to ignore, dismiss or defame, especially when it doesn’t fit with the government’s insistence that the opposition are Islamist terrorists waging a campaign of violent intolerance. This protest was peaceful and well organised, carried out with a smooth confidence by young men and women who could be the sons or daughters of almost any modern, middle-class Damascene family. From the pavement, a smattering of applause rose – perhaps from other activists among the shoppers. A few drivers honked their horns in frustration at the blocked traffic. But mainly there was silence. No one hurled abuse at the protesters. There were no spontaneous shouts of loyalty to the president, Bashar Al Assad. As if time had slowed, the demonstration moved across the road, leaving the way free for the cars. It resumed on the central reservation, banners held aloft again. Walking casually, some smiling, some serious, the protesters crossed a busy road junction. They stopped in front of the justice palace, which houses the courts where scores of political dissidents have been sentenced to long jail terms over the years. The banners were again thrust into the air. One of the protesters, a man in his thirties with grey hair, smiled broadly as if enjoying a simple day out with friends. Another, face stern, held his fingers up in the universal signal for victory and peace. Ten minutes after the protest started, there was still no visible response from the security forces. Traffic police made no move to intervene, carrying on with their endless labour of keeping the traffic moving. Then a siren wailed. Soon afterwards, the protesters melted away, disappearing quickly in small groups down side streets, hidden by their ordinariness. A minute or so later, the Shabbiheh, burly men in olive drab trousers and T-shirts emblazoned with Mr Al Assad’s face framed inside a heart, were running towards the justice palace. They were too late to catch their quarry, arriving at the main entrance to Hamediyeh market with everything ostensibly back to normal. “Donatella Rovera, Amnesty International’s senior crisis adviser, was in Syria for 10 days during the second half of April. Rovera has worked at Amnesty International for 20 years and has extensive experience of working in conflict zones, including Libya, South Sudan, Ivory Coast and Gaza. Here she reports some of the first-hand accounts of the brutal crackdown by the Syrian regime against its people. “In addition to the human loss, families are having to cope with the loss of their homes and livelihood. Those whose homes and businesses have been burned down or destroyed and who have been left with nothing other than the clothes on their back are relying on the charity of relatives and friends. Some are trying to repair or salvage what they can from their wrecked properties but many are beyond repair. There is no doubt that the burning down of so many homes and businesses – and including medical facilities such as field hospitals and pharmacies – was deliberate, seemingly a combination of revenge and collective punishment. 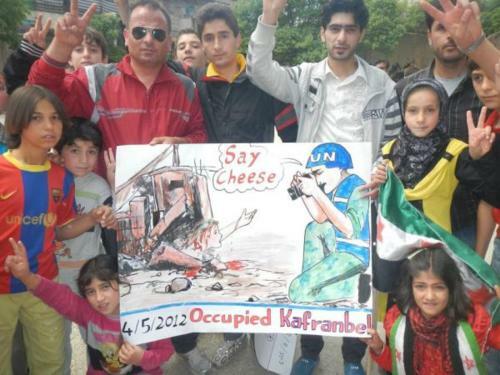 Say Cheese the UN observers are here! All this of course in full agreement with the UN/Annan peace plan. Especially that part that Syria will not hesitate to fire missiles at Israel and Turkey in order to ignite a large scale regional war. Sounds like a real peace loving government doesn’t it? Fully intent of following ALL points in the peace plan and ceasefire. “Jordanian news site Ahbar Baladna reports that western spy satellites have recently spotted movements of Syrian heavy missile launchers northward and southward, toward Syria’s borders with Turkey and Israel. The site says hundreds of high-caliber launchers are being moved, and that these could only be long range Scud missile launchers. Syria has threatened in the past that in the event of foreign military intervention on its soil, it will not hesitate to fire missiles at Israel and Turkey in order to ignite a large scale regional war. Turkish and French officials said ten days ago they were mulling a potential military intervention inSyria, where civil war has been raging for 14 months. “U.S. policy toward Syria is turning into a scandal on both strategic and humanitarian grounds. The next three months will be wasted in a toothless observer effort during which time the Syrian regime will go on massacring people and mopping up the rebellion. In addition, U.S. policymakers admit that they have no real back-up policy and what they should do next. The Muslim Brotherhood has been gaining more power in large part because instead of financing and helping the moderate opposition, U.S. policy has combined being soft on the regime with helping the Islamists, especially in the absurd exercise in which an American initiative produced an anti-American, Brotherhood-dominated Syrian opposition leadership in exile. And then to show how ridiculous the whole thing is, Syrian troops opened fire at oppositionists trying to talk to the UN monitors, forcing the observers to flee for their lives and injuring eight demonstrators. The UN responds by proposing a few dozen more, equally helpless, observers. This is the same UN that in 2006 promised Israel that it would intercept Syrian weapons being smuggled to Hizballah in Lebanon and stop that radical group from reoccupying its pre-war positions in the south of the country. In six years, not a single weapon has been intercepted and not a single Hizballah terrorist stopped. On the contrary, with Syrian backing, Hizballah has terrorized the thousands of soldiers in the UN forces in Lebanon. There should be no question as to what should be done. Along with Iran, North Korea, and Cuba, the Syrian regime is the most anti-American government in the world. It has done everything possible to sabotage U.S. interests, to sponsor terrorism, and to block peace. That regime is also Iran’s main ally. Any conceivable president who cared about or understood U.S. interests would make the overthrow of the Syrian regime a top priority for the United States. I’m not talking about sending troops or going to war but about every conceivable other means. This should be blindingly obvious. In addition, any competent president would work hard to help the moderate pro-democratic forces in the Syrian opposition so that they can gain power in the country. Instead, the Obama Administration that subcontracted dealing with the Syrian regime to the UN has subcontracted dealing with the Syrian opposition to the Islamist regime in Turkey. Not surprisingly, the Turkish regime has pushed Muslim Brothers and other Islamists and their clients into the ”official” leadership of the Syrian opposition, the Syrian National Council. This has led to a fracturing of opposition leadership. And the Syrian regime is being rewarded with no more pressure and being given the ability to stall for time even though it has already violated the ceasefire. This is not merely a bad U.S. and Western policy; it is the worst possible policy, lacking any strategy to undermine the radicals and help the moderates. After 2.5 years of the Obama Administration treating this enemy as a friend we have seen almost a year of dithering over the opportunity to get rid of that regime. It is like when the administration ignored the stealing of the election in Iran and the opposition movement there, as if it wanted to coddle, not confound, the Tehran regime. It also came to the rescue of the Hamas regime in the Gaza Strip, pressingIsrael to minimize sanctions. In contrast, the administration has not hesitated to overthrow an ally in Egypt and come close to doing that in Bahrain. The pattern is that the radical side breaks every agreement, rejects compromise, and escalates aggression and the Obama Administration takes it all with a smile on its face and a song in its heart. But why should the United States turn over its policy to the UN, especially since a number of members are pro-Syrian regime and blocking any serious action? And have we really reached a point in time when the UN can present itself as the only channel for international action? “The authorities are touting Monday’s parliamentary election as a showcase of these reforms. However, the opposition says it will change little in a rubberstamp assembly that has been chosen by the ruling Assad family, backed by the powerful secret police, for the past four decades. The assembly currently does not have a single opposition member and official media said half the seats would be reserved to ”representatives of workers and peasants”, whose unions are controlled by Assad’s Baath Party. ”Nothing has changed. Syria‘s political system remains utterly corrupt and election results will be again determined in advance,” said opposition activist Bassam Ishaq, who unsuccessfully ran for parliament in 2003 and 2007. “Syrians feel forgotten and betrayed by an international community whose support has been poor compared with that given Libyan rebels. Syria yearns for freedom from the brutality of the Assad regime. For four decades, thousands upon thousands paid the price for their opposition to Bashar Assad and his father, Hafez Assad. We have been intimidated, arrested, tortured and killed. Since the uprising began in 2011, opposition forces put the death toll at more than 10,000, with many more imprisoned. And all because we want a free, fair Syria. I am 81; I have dedicated my life to advancing democracy, constitutional principles and an independent judiciary in my country. I have been arrested on many occasions for having resisted the dynastic family rule of the Assads. I hope this awful period of Syria‘s history will end with the demise of this murderous regime, and I call on the international community to do more to bring that about. It did not take them long to imprison me. Accused of ”spreading false news that could weaken the national morale,” I was sent to jail from 1980 to 1986 along with other activists by Hafez Assad, who had taken control of the government in 1970. During my time in jail I started a hunger strike that nearly ended my life. When I was released, I returned to my work as a lawyer in private practice. But life was never easy; I was constantly monitored by the Mukhabarat, the military intelligence service, and its many branches. In October 2009, I appeared on Barada TV — an opposition satellite channel — to speak out against government abuses, in particular the regime’s unjustified perpetual declaration of martial law and its suspension of the Syrian Constitution, actions that had enabled it to use unfair prosecution and imprisonment procedures since the 1960s. When I was released this time, in 2011, the uprising had begun, and soon after, the regime’s violent crackdown. The international community’s response has been poor at best. Syrians on the ground have felt forgotten and betrayed. A system that is supposed to protect civilians from brutal force has failed on a monumental scale. We hear excuses for why intervention cannot happen in Syria as it did in Libya. The longer it takes, the more it looks as if the international community acted in Libya only because of oil, despite the much-trumpeted rationale of protecting civilians. Compared with Libya, many more Syrians are dying at the hands of their own government, and more still will perish as a result of international inaction. One of steps that the international community could take to end the suffering and speed the demise of the Assad regime would be arming the Free Syrian Army. As it stands, the FSA can only fight what will be a losing battle. The government forces are heavily armed; the FSA has only small arms. If the international community does not want to arm the FSA, another option is to enforce no-fly and heavy-armor-free zones. For now, however, the international community is putting its faith in the peace plan mediated by former U.N. Secretary-General Kofi Annan. While I commend Annan’s work in trying to halt the slaughter of innocent civilians — and I hope it works — the violence continues. Even if a truce were to be honored, I cannot help but wonder what will happen when the people again take to the streets — as I know they will — to peacefully demand the downfall of the regime. My sources say that more than 1,000 civilians, including 34 children, have been killed by the Assad regime since the cease-fire. Syria has been ruled ruthlessly by one party for nearly 50 years. 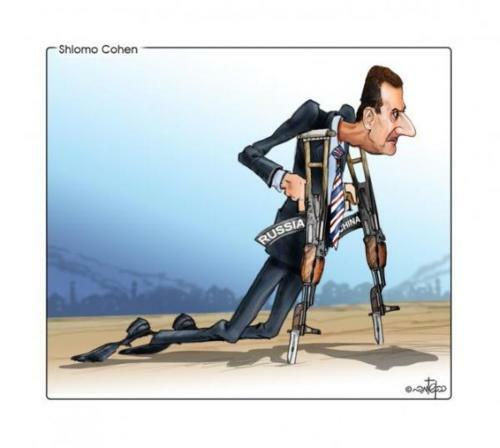 Sooner or later the Assad regime will end. The international community must help the opposition by funding various opposition leaders to build political parties, so we can be ready to govern. It must help build democratic institutions and educate the population about political accountability, an alien concept to most Syrians, who have known only the anti-democratic Assad regime. In short, we need all the help we can get to build a free, fair nation, one that represents all Syrians and respects human rights, the judiciary, international law and human life. “Last fall, “Kardokh,” a 25-year-old dissident and computer expert in the Syrian capital of Damascus, met with British journalist and filmmaker Sean McAllister. (Kardokh is his online pseudonym, used at his request.) McAllister, who’s made award-winning films in conflict zones likeYemen and Iraq, explained that he was shooting a documentary for Britain’s Channel 4 about underground activists in Syria, and asked if Kardokh would help him. At the time, the situation in Syria was deteriorating rapidly, as protests against President Bashar al-Assad’s repressive regime turned violent following a vicious crackdown by security forces. The Syrian government had drastically curtailed visits by foreign journalists, but McAllister had managed to get in undercover. Kardokh was grateful for a chance to tell his story. “Any journalist who was making the effort to show the world what was happening, that was a very important thing for us,” he told me in February. At the time, Kardokh was providing computer expertise and secure communications to the resistance. He agreed to be interviewed about his work on camera by McAllister, who filmed his face, telling Kardokh that he would blur it out before publishing the footage. McAllister also asked Kardokh to put him in touch with other activists. Then, in October, McAllister was arrested by Syrian security agents. He wasn’t harmed, but was held for five days and said that he could hear the cries of prisoners being tortured in nearby rooms. Eventually, he was released and returned to the UK. “I didn’t realize exactly what they were risking until I went into that experience,” McAllister said in an interview on Channel 4 after his release. It’s easy to argue that McAllister should have taken stronger precautions, but what, exactly? How many reporters are familiar enough with the technical aspects of digital security that they could protect their computers and phones from the Syrian intelligence service? The fact that McAllister, an experienced and committed journalist, jeopardized his sources with inadequate digital precautions is indicative of a broader problem in journalism today: We haven’t kept pace with technological advancements that have revolutionized both information-gathering and surveillance. After researching the subject of digital security, I realized that there have been occasions in my own work as a freelancer covering the conflicts in Libyaand Afghanistanwhen I’ve exposed myself and my sources by carrying unencrypted data or e-mailing sensitive information over insecure channels. It’s unclear what, if anything, major news organizations are doing about it. When CJR’s Alysia Santo recently tried asking outlets like The New York Times, she got a firm “no comment.” Curious, I e-mailed an informal survey to journalist friends and colleagues, and several who’ve worked as senior correspondents in Afghanistan for major US news outlets said they’d had little-to-no formal training or assistance from their organizations in digital security. Paul Conroy, a Sunday Times photographer was together with other journalist in the makeshift “press centre” in Baba Amr in Homs reporting on the slaughter going on. That “press centre” was in reality, a four-story family home converted to this use as it was one of the few places that had a generator. It was also fortified. But its location was maintained by the rebels in tight secrecy. Some of the journalists were using secure channels of communications protected by anti-jamming and anti-tracking devices. But the Assad regime determined that they (the journalists) should be taught a lesson and deterred from ever coming back. 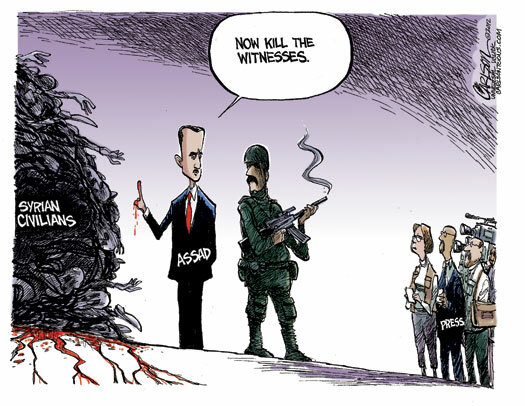 And put a stop to this embarrassing reporting of the massacres inHoms. So together with Russian satellite tracking and Iranian intelligence personal on the ground, on that Wednesday morning the building took a direct hit by a rocket and was totally erased. The Sunday Times correspondent Marie Colvin and the French Figaro video-photographer Remi Ochik was killed. Three other Western journalists were injured. And Paul Conroy was badly wounded in the legs. Also many people were killed when trying to get the wounded journalist out of Homs. “Paul Conroy, the Sunday Times photographer wounded in the leg in an attack in the besieged city of Homs, has been smuggled out of Syria in a dramatic and dangerous rescue in which up to 13 activists lost their lives, it has emerged. “Paul Conroy, the British Sunday Times photographer who was wounded in the besieged city of Homs, has been smuggled out of Syria toLebanon in a dramatic rescue. According to those familiar with his escape a number of Syrian opposition activists died during the rescue effort after they came under artillery fire while leaving the city. The evacuation party came under fire twice. Three activists were killed on the first occasion while more were reportedly killed when they came under fire again. ”Despite the successful rescue of Conroy – whose colleague Marie Colvin was killed last week in Homs along with French photographer Rémi Ochlik during an attack on the makeshift media centre in the suburb of Baba Amr – three other journalists remain trapped in the city. They are Edith Bouvier of Le Figaro, who sustained a broken femur, French photographer William Daniels and the Middle East correspondent of El Mundo, Javier Espinosa. The dramatic nature of Conroy’s evacuation underlines the high level of risk being faced by those who have been trying to run medical, food and other supplies into the besieged suburbs ofHomsand evacuate the injured, including foreign journalists. What Russia taught Syria: When you destroy a city, make sure no one — not even the story — gets out alive. “It was a star-filled night in Chechnya’s besieged capital of Grozny. The snow crunched under my feet as I walked with the Chechen rebel commander away from the warmth of our safe house. When we entered a bombed-out neighborhood 15 minutes away, I put the battery in my Iridium satellite phone and waited for the glowing screen to signal that I had locked on to the satellites. I made my call. It was short. Then the commander made a call; he quickly hung up and handed me back the phone. ”Enough,” he said, motioning for me to remove the battery. As we walked briskly back to the safe house, it was exactly 10 minutes before the cascade of double wa-whumps announced the Grad rocket batteries pounding the vacant neighborhood we had just left. It was December 1999, and the Russian assault on Grozny was unfolding in all its gruesome detail. After the dissolution of so much of the former Soviet empire, Chechnya was one country that the newly minted prime minister, Vladimir Putin, refused to let go of. His boss, Boris Yeltsin, and the Russian army had been defeated and then humiliated in the media by Chechen forces in the first war. Five years later, Russia was back. And Putin’s new strategy was unbending: silence, encircle, pulverize, and ”cleanse.” It was a combination of brutal tactics — a Stalinist purge of fighting-age males plus Orwellian propaganda that fed Russians a narrative wherein Chechen freedom fighters were transformed into Islamist mercenaries and terrorists. More than 200,000 civilians were to die in this war, the echoes of which continue to this day. This time, journalists were specifically targeted to prevent sympathetic or embarrassing reports from escaping the killing zone. As such, you can’t find a lot of stories about the second Chechen war. One of the few and best accounts was written by Marie Colvin, who described her terrifying escape from Grozny for the Sunday Times. Last month, Colvin thought she could roll the dice and enter the besieged Syrian city of Homs to defy yet another brutal war of oppression. This time she lost. It’s impossible to know whether Syrian President Bashar al-Assad — a longtime ally of Russia– studied the success of the last Chechen war before launching his own assault on the restive city of Homs. 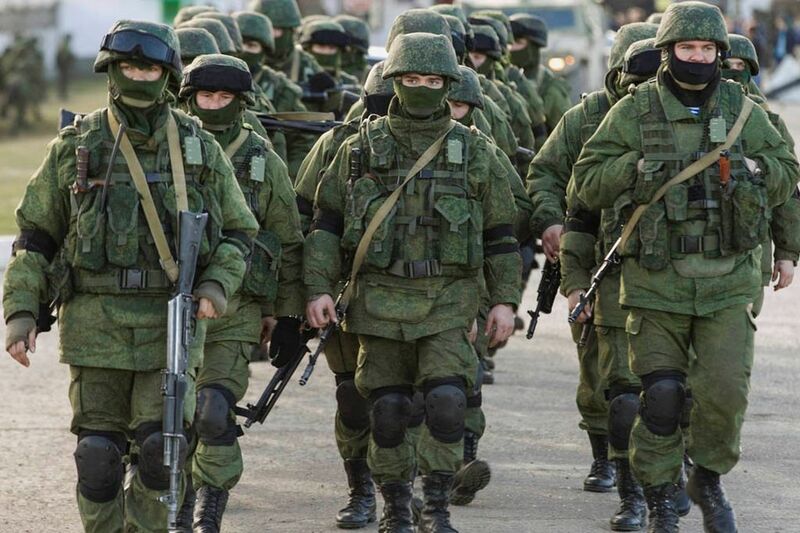 However, his Russian military advisors surely know the tactics well. The crackdown in Homs carries a grim echo of Grozny, both in its use of signals intelligence to track down and silence the regime’s enemies and in its bloody determination to obliterate any opposition, including Western journalists. “Russia has spent a long time perfecting these techniques. On April 21, 1996, Chechnya‘s breakaway president, Dzhokhar Dudayev, was speaking on a satellite phone with Russian envoy Konstantin Borovoi about setting peace talks with Yeltsin. During the phone call, he was killed by a signal-guided missile fired from a Russian jet fighter. The warplane had received Dudayev’s coordinates from a Russian ELINT (electronic intelligence) plane that had picked up and locked on to the signal emitted by the satellite phone. It was Russian deception and brutality at its finest. “These past few weeks, under a barrage of mortar, tank, and artillery shells, their plaintive calls for help from inside the besieged Baba Amr neighborhood of Homssparked international outrage. But without Western journalists filing for newspapers and television outlets, these videos — mostly shaky, low-resolution footage of corpses and artillery strikes — wouldn’t have had the impact they deserve. In a welcome resurgence of non-embedded journalism, brave reporters like Colvin and many others risked their lives to enter Homs and report from the ground. What they showed us was moving, horrific, and embarrassing. Once again, Western governments were caught doing nothing — while women, children, and innocents were murdered by their own government. It’s a playbook the Syrians are good at: The shelling of Homs began on Feb. 3, 2012 — exactly 30 years after the Hama massacre, in which Hafez al-Assad, Bashar’s father, killed up to 15,000 civilians over three weeks in a similar program of wanton destruction. What we haven’t seen as clearly is the extent to which the Syrian regime (thanks to its Russian advisors) now has the tools of electronic warfare to crush this popular uprising — and anything that happens to get in the way. Syria is one of Russia’s biggest clients for weapons, training, and intelligence. In return for such largesse, it has offered the Russian Navy use of Tartus, a new deep-water military port in the Mediterranean. Moscow sold Damascus nearly $1 billion worth of weapons in 2011, despite growing sanctions against the oppressive Assad regime. 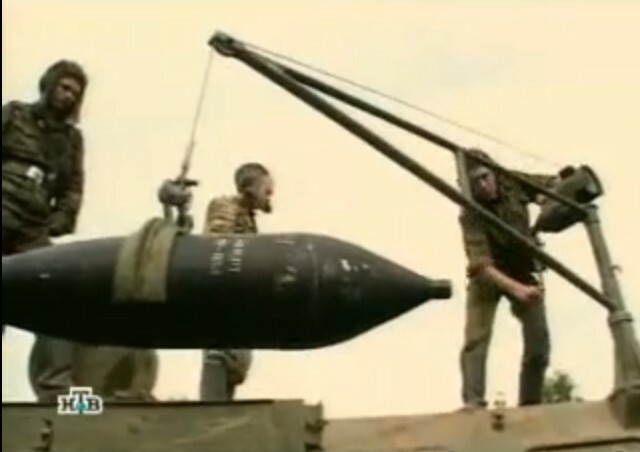 With these high-tech weapons comes the less visible Russian-supplied training on technologies, tactics, and strategies. The sounds of rockets pulverizing civilians should have brought back memories and warnings to Colvin. She would have recognized all the signs from her previous reporting in Chechnya, where she and her escorts were hunted relentlessly by Russian domestic security agents who sought to arrest, silence, or kill any journalist attempting to report on the slaughter of civilians. My time in Grozny included being surrounded three times by the Russian army, numerous direct bombardments, and frequent close calls. I paid attention to the safety warnings of the Chechen rebel commanders who kept me alive. These rebels were once part of the Soviet military and intelligence apparatus and were fully schooled in Russia‘s dirty tricks. They taught me much. Chief among them was not communicating electronically while in country, not trusting ”media guides,” and never telling people where I was going. If captured by Russian troops, they urged me — for my own safety — to say that I had been kidnapped by Chechen forces. Just as I exited Chechnya, I met Colvin, who was heading in. She wanted to know as much as she could. I warned her of the duplicity and violent intent of the Russian military and their Chechen proxies. Despite my warnings, she bravely entered Chechnya and wrote riveting, award-winning stories that now sound almost identical to her coverage from Syria. I was distressed to read of Colvin’s death in Syria, and even more distressed to think she might still be alive now if she had remembered some basic warnings. Her first error was that she stayed inside the rebel ”media center” — in reality, a four-story family home converted to this use as it was one of the few places that had a generator. The second was communication. The Syrian army had shut down the cell-phone system and much of the power in Baba Amr — and when journalists sent up signals it made them a clear target. After CNN’s Arwa Damon broadcast live from the ”media center” for a week, the house was bombarded until the top floor collapsed. Colvin may have been trapped, but she chose to make multiple phone reports and even went live on CNN and other media channels, clearly mentioning that she was staying in the bombed building. The third mistake was one of tone. She made her sympathies in the besieged city clearly known as she emotionally described the horrors and documented the crimes of the Syrian government. Unsurprisingly, the next day at 9 a.m., a barrage of rockets was launched at the ”media center.” She was killed — along her cameraman, Remi Ochlik, and at least 80 Syrian civilians across the city — targeted with precision rocket barrages, bombs, and the full violence of the Syrian army. In Grozny, Russian forces decided that they would eliminate everything, everybody, and every voice that stood up to the state — including journalists who tried to enter. 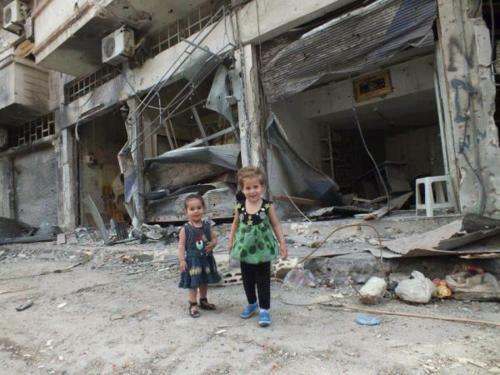 Syria has clearly made the same determination in Homs. This military action is intended to be a massacre, a Stalinist-style lesson to those who dare defy the rulers of Syria. “Last Tuesday I was asked to join a panel discussion at the House of Commons. I readily agreed as it was to screen Jonathan Miller’s fantastic and ground breaking film ‘Syria’s Torture Machine. One of the most insightful and inspiring pieces of filmmaking I have seen in many years. The event was hosted by Anne Clywd MP with representatives from Human Rights Watch, Amnesty International, a Syrian torture victim, a representative from theRussian federationand me. After an introductory round of speeches we watched Jonathan’s superb film and the panel then opened for answers. By this time I had moved back to the audience as my leg injuries were not ideal for sitting up front. Still wishing to take part in the panel discussion and perhaps do a little Q&A I asked if I could have a microphone. My colleague asked one of those media study, large red glasses and tight jeans assistant producer types if this was possible “It’s not going to happen” he was told in a rather bolshie and self-important way. “I think you will find he’s doing it anyway” my colleague Miles Amoore from the Sunday Time grinned. The point in this is that all week I had been trying, unsuccessfully, to get a comment from the Russians regarding arms supplies to Syria. Now, right there in front of me, was a real life, in the flesh card carrying representative of theRussian federation and a Channel 4 work placement fruit bat wouldn’t give me a microphone. I was reduced to putting up my hand and rather grumpily waiting my turn. In the event the wonderful Ann Clywd chairing the proceedings saw my rather desperate outstretched hand, similar to that of a child at school who finds he miraculously knows the answer to a question and is desperate not to go unnoticed. Given that I had had a large piece of Russian shrapnel removed from me a few days previously I was eager to ask about the Russians continued supply of arms to Syria. I started by reminding him that it was a piece of a Russian made shell that had just been removed from my back. He looked suitably embarrassed but said nothing. A. No (brief gasp from me and others) if we don’t do it somebody else will. Now excuse me but that seems like an answer that a crack dealer would resort to when caught outside of a primary school with a huge bag of class A drugs he has been peddling to pre-teens, not the answer of a representative of one of the most powerful (and dangerous) nations on the planet. So there we have it, direct from the horse’s mouth. 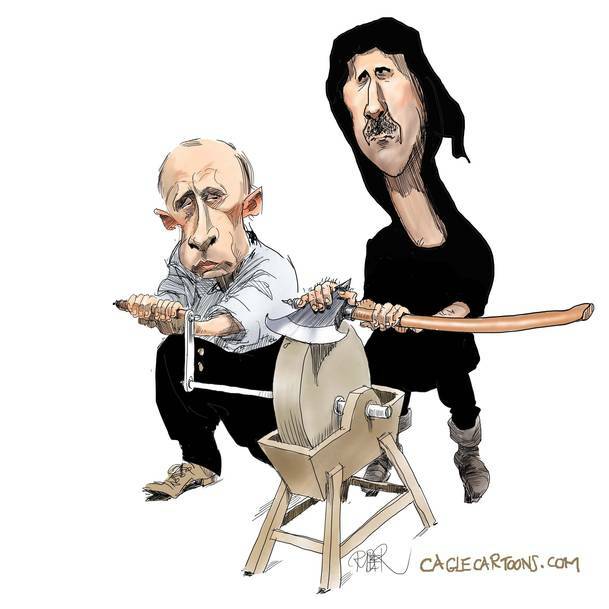 Vladimir Putin ‘The Butcher of Homs’ as he so fondly known on the streets of Babr Amr is indeed supplying the Assad regime weapons, munitions and who know what else on the solid conviction that ‘If they don’t sell it someone else will’. Ok, thanks firstly to Bonnie for getting this page up and running. In all my years as a war photographer I have never seen such systematic slaughter as I personally witnessed in the very small neighbourhood that is Babr Amr. Men, women and, most abhorrently, children have been massacred in their hundreds if not thousands. Forget the phoney propaganda that is now a trademark of the Bashar- al-Assad regime. As an eye witness I can assure you that what is being reported is fact. There is no need to embellish or hype the slaughter that is taking place. It’s real, it’s happening now and it chills me to the bone. I pay tribute to every man woman and child murdered by this regime. I salute the people who kept me alive whilst I was wounded in Syria. To the Free Syrian Army, The Farouk Brigade, Avaaz and to the all the Martyrs who died helping me escape. I can never repay you. I am forever in your debt. Marie and Remi gave their lives to bring you the truth. Please don’t forget them; they were both devoted people who had a mission to bring you honest reporting, they gave their lives doing so. To the people of the media centre, who lost six cameramen in the line of duty and daily risked their lives to bring you what was happening whilst Bsahar-al -Assad tried in vain to crush the souls of the people of Syria. I salute you also. In stark opposition to the likes of Remi and Marie there is a plethora of armchair pro regime activists who are vainly trying to back the regime. Please, these people have neither the tenacity, the courage nor sense of honour needed to go into Syria and report fact. My advice is to ignore them. Please let them have their say and fade into oblivion. They mean harm but mean nothing if ignored. People who read this fight on. This regime can be broken, your spirit cannot. I will do all I can to fight for the cause. I have spoken to my Prime Minister, foreign secretary and other American politicians. I hope my words have an impact. In the dark hours that will follow please have the strength to continue. Too much blood has been spilt, to many lives destroyed for it all to be in vain. To the People of America we know you can help, please, even though its election year and Obama has to win votes he must stand up as a man and disregard party politics. You have the power to stop men women and children dying. DO IT. Forget basketball, forget the opinion polls and start saving lives. NOW. As I write the slaughter continues. Bombard your embassies, protest, scream and shout and demand answers!!! NOW. Every second of every minute is precious. Don’t waste a moment. We have been here before. Disregard Kofi Annan, he provides cover while Assad continues to kill. The time for talking is long gone. Now we must all demand action. “Editor’s note: Paul Conroy is a British photographer and cameraman who has worked in troublespots around the world. While working inSyriaearlier this year forBritain’s Sunday Times newspaper, he was seriously wounded in the attack which killed his colleague Marie Colvin, and fellow photographer Remi Ochlik. London(CNN) — The situation in Syriaposes a seemingly unending series of new challenges: Challenges that can either stun you into silence or propel you deeper into the steaming cauldron of propaganda, murder, misery and ultimately death that is now life in Syria. Over the last few days the authorities have opened a new front in their mission to suppress the flow of information coming from Syria. The house which I and other international journalists used as a base in Homs was destroyed in a rocket attack that killed my friends and colleagues Marie Colvin and Remi Ochlik. This building was the hub from which many local activists bravely transmitted the images that have kept an open window through which the world has viewed the onslaught of the Assad military against the men, women and children of Baba Amr. The house is now a pile of rubble, the activists dispersed. Having removed the operational center of the citizen journalists, the regime is now engaged in a manhunt to track, capture and destroy the remnants of that network. Tough talk from anti-Assad coalition The regime fear these people for good reason: They have provided the most compelling documentary evidence of crimes committed by the state. The sustained and systematic use of heavy artillery against an unarmed population isn’t a rumor or urban myth. It is well documented and, thanks to courage of the activists, we now posses a large body of video and eye witness evidence. Crimes against humanity are a serious charge against any state. To know that such evidence exists and continues to be collected will doubtless be causing concern to some in Damascus. For all their apparent willingness to engage in the bombardment against a civilian population there must be those within the regime pragmatic enough to realize that such evidence can, and almost inevitably will, be used against them if the regime falls and justice prevails. The case of Ali Othman highlights perfectly this ongoing fear of the state. Ali Othman, a vegetable seller by trade, is now in the custody of the feared state security services. He was arrested on March 28, near the town of Aleppo, and — according to well placed sources — is now being tortured. Despite international pleas for his release, there are reports that other activists have been receiving calls from Ali asking them to meet him, regardless of the fact that he is now in custody. Those who have responded to his calls and arrived at the meetings have been immediately arrested by state security. It is unlikely that Ali voluntarily made these calls. Ali Othman never smuggled international journalists into Syria. He was one of the first citizen journalists to film the peaceful protests. His only crime was to record the abuses committed by his own government. The world should keep up the pressure on the Syrian government to pay heed to the calls for his release. Another prominent figure who disappeared this week is Noura Aljizawi, one of the first activists of the revolution. Her work involved humanitarian aid, handing out medicines and medical help at field hospitals and to those with long-term illnesses who could no longer find the drugs they needed. She visited them at home and offered them help on where to find medical advice and assistance. Noura left home last Wednesday, March 28, and has not been seen since. Injured journalist tells of Syriahorror Her sister reports that six of her cameras and a laptop have disappeared and that since her disappearance seven other female and five male activists have also gone missing. I have received reports that she too has been making calls to other activists urging them to meet up — making calls from captivity that is. Hardly encouraging news for those concerned for her well being. The fear among the activist network is that Noura, who was so well connected and involved, could well be the key that allows the regime to deal a decisive blow to those struggling to keep open that window onto the activities of the Syrian state. Meanwhile, the Assad regime continues to have a free hand in the systematic and murderous destruction of those involved in the uprising. The world response has been lamentable and few world leaders have dared raise their heads above the parapet. The UK’s foreign secretary showed good leadership when he issued a statement calling for the release of Ali Othman. We need more of the same from others in power. While Assad and his inner sanctum believe they can act with impunity we will continue to see more stories similar to those of Ali and Noura. This regime continues to murder and crush opposition figures while hiding behind the six point plans of the likes of Kofi Annan. Meanwhile the world continues to watch in horror as men, women and children die at the hands of a regime seemingly unaffected by world opinion. “The situation in Syria continues to slip rapidly, and even more violently, out of control. The ceasefire, if it could ever be realistically be called that, now lays in tatters and the death toll continues to mount. The regime though has little to fear. The presence of a few unarmed observers on the ground is hardly likely to have Assad and company trembling in their boots and with no plan B on the table to actively put an end to the killing of civilians, we can be pretty sure they will sleep well in their beds tonight. And what of the Annan plan if the ceasefire fails? Well, look at it for yourselves, apart from the non existent ceasefire, all of the points of the plan seem based on the people of Syria placing their trust in a government that has systematically, shelled, sniped and tortured a large portion of the population for over a year now. Doesn’t seem too likely, when all things are considered, that anyone is likely to lay down there arms and go home. So what happens next? Mr Annan will continue to be ‘optimistic’ that his plan has a few teething problems but will ultimately succeed. Why? On what grounds does he go to bed thinking, ‘should be ok tomorrow?’ Well, I guess because it’s the only game in town right now. 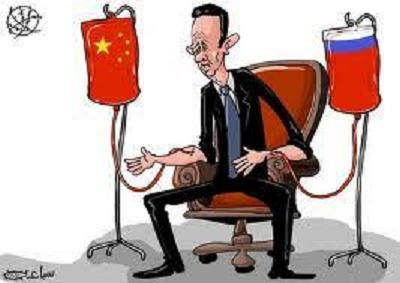 While Russia stills supplies the arms and munitions that are causing the mass casualties, Iran supplies advisors and specialist help and China continues to be China, the Annan plan is the only thing the west, and the Arab league, can point to and say ‘look, we are doing something.’ The only problem is it’s achieving little and the death toll steadily mounts. Some we have come to the end of my 11 parts series on what’s going on in Syria. As I said in part 1 of this series: There is so much to be said about the uprising in Syria and the extremely brutal suppression by the Assad regime. And as usual, most of it is not said in the mainstream media. The focus is therefore going to be on some countries and international organisations and what they have done or not done in 11 posts. So I hope I have given you some insight into this extremely brutal suppression of a popular uprising by the civilian population. And the world of real politics behind the declarations. As I said, there is so much more to be said. This Syrian uprising started little over a year ago with spontaneous demonstrations that demanded that the Syrian President Bashar Al-Assad reform Syriato a free and democratic state. Assad responded, as usual, with relentless force and a brutal crackdown. Which led to the people to call for the president to step down, and heed to his people’s will to relinquish his power. And for a peaceful transition to democracy. And from this start the Assad’s regimes force and a brutal crackdown have just intensified and widened. The death toll is now over 12 000. Mostly civilians: children, women, families, elderly etc. Many of them executed in the most barbaric way. And the sad answer to these questions is of course – YES ands as usual NO. Refusing to arm or help the opposition will not end the conflict or limit it; it will drag on as all the above examples shows. Leading to massacres and atrocities. I say only one thing: You should BE REALLY PROUD of yourselves and the children of Syria will remember you. Each one.